During the last couple of years, overclocking has become mainstream and something even the average Joe can do. 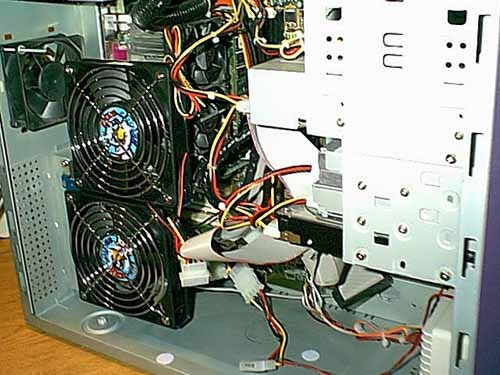 Overclocking generally causes your computer components to create more heat. The two most commonly overclocked components are the video card and the CPU. 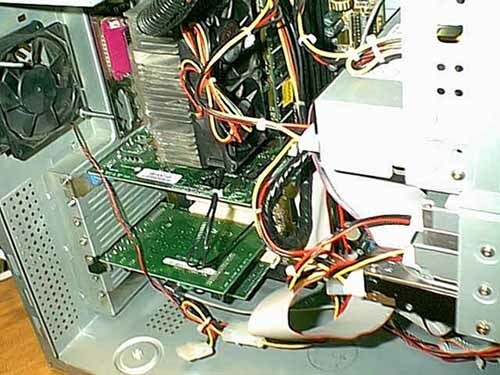 So, what does the average guy do when he wants to cool his stuff without modifying their computer case? 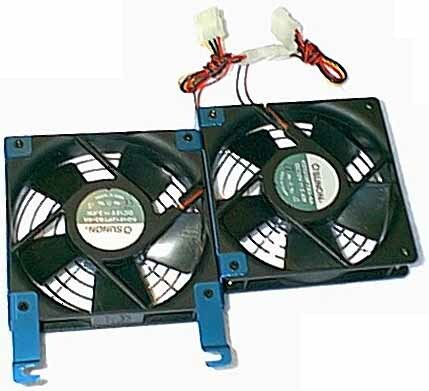 Simple, implement some type of internal cooling. In the wake of the HardOCP and mainstream overclocking, companies have risen to the occasion and created products like the 2CoolPC from South Bay Engineering and, in this case, The Card Cooler XT. 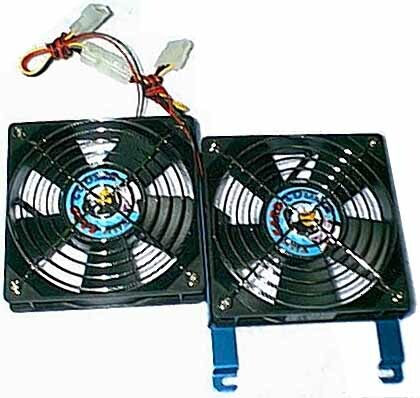 These products are types of internal cooling that require no physical modification of the computer chassis in order to implement them. People will argue that these products can never cool nearly as well as blow holes which draw cool from the out side of the case and bring it inside the case to cool your components. However, most things in computers are cooled by convection. Cooling by convection, in this case, entails moving the heat away from an object through another medium and in this case it is air. It is true the cooler the air, the more heat it can "absorb" but if you move lots of air over something rapidly it is going to cool it down pretty good. Enter the Card Cooler XT. Installation of the Card Cooler was very easy and the only tool I need was a philips head screw driver and my hands. I simply removed two screws from the slots where my "cards" are installed and then put the screws back in but this time I held the Card Cooler XT in place. That simple. Well, I had to plug them in as well. If I were to compare it to the 2CoolPC Plus, I would say that it was harder to install but if either of these installs are difficult, you probably have one hand or are just damn lazy. Ok, I got the sucker installed, now I want to see how it is going to cool. But first, let me tell you what it is cooling. Ok, then on to the testing.